It is now four years since the first cases of ash dieback or Chalara really hit the headlines and ousted P.ramorum in larch as public tree enemy number one. So let’s just rewind and give a plotted history of Chalara fraxinea and its arrival in the UK. Infected ash had been found widely across mainland Europe since the first trees with this newly identified pathogen were reported dying in large numbers in Poland in 1992 and then spread westwards in forests, trees in parks and gardens, and young nursery stock. 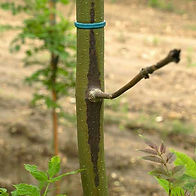 In February 2012 it was discovered in a consignment of trees imported from a Dutch nursery to one in Buckinghamshire. Since then checks have found it in young planted ash in a number and variety of locations in Great Britain, in urban landscaping schemes, newly planted woodland, and more tree nurseries. The import of ash trees has been banned. This may be too late. Though large woodlands are likely to be worst affected, the disease could also pose problems to gardeners. 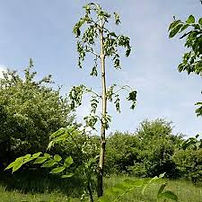 Then in October 2012, Food & Environment Research Agency (FERA) scientists confirmed a small number of cases in Norfolk and Suffolk in ash trees at sites in the wider natural environment, including established woodland that did not appear to have any association with recently supplied nursery stock. Intensive coordinated searches turned up infected ash in the wider environment in several hundred places, mostly on the eastern side of England and Scotland, and concentrated in SE England. In May 2013 the first wider-environment case was found right across in SW Wales, which is the most westerly site in Britain where a wider-environment case has been confirmed. With ash now in full leaf, the big question is what summer 2016 holds in store on Chalara. There are fears that it could be the worst crisis for our trees since Dutch elm disease hit in the Seventies.